This year marks the ninth year that I've made picks in one form or another for the Academy Awards. Over those nine years, I have tweaked my process and presentation here and there, always with the goal of making informed picks in as many categories as possible. 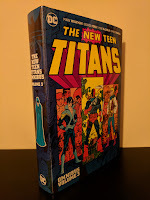 In an effort to continue down that path, this year I have listed all twenty four categories being presented during tonight's ceremony, but I will only be sharing my personal pick for nineteen of them. This is a smaller selection of categories for me than in recent years, but only because I have chosen to exclude categories from which I did not see any nominees. I figure that there's no point in wasting anyone's time with completely uninformed shots in the dark! I have also decided to present my picks this year as though I were one of the people special enough to submit an official ballot. So the picks that you see below are for the films that I would personally vote for if that were the case. This differs from past years when I have made attempts to predict winners. As mentioned above, all twenty four categories are listed below. The nominees for each category that I have seen are denoted by a link to my review of that film. In the case that I didn't write a review for a film that I did see, it will be denoted by an asterisk (*). My Pick: N/A - These films were screened locally by The Grandin Theatre. Unlike last year though, I did not have the opportunity to check them out. As a result, I cannot make an informed selection. My Pick: N/A - ditto for this category. My Pick: N/A - I have never had the opportunity to see any of the Best Documentary nominees, past or present. Again, I'm not able to vote for this category. My Pick: N/A - Four categories in and no selections. 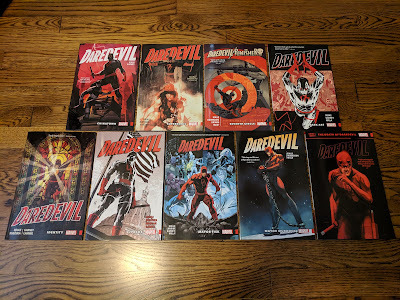 I'm off to a great start aren't I? This post gets better. I promise. My Pick: Finally! A category in which I can actually make an informed selection. This is a tough category for me because I really enjoyed all of these nominees and they all had amazing visual effects (obviously, otherwise they wouldn't have been nominated). Due to the seamless integration of its visual effects (that were achieved with a number of insane practical stunts) into its non-stop, film-long action sequence, my vote goes to Mad Max: Fury Road. My Pick: One of just two categories in which it is nominated, my vote for Best Achievement in Sound Editing goes to Sicario although my gut says that this award will more than likely end up in the hands of Mad Max: Fury Road. Mad Max will get more than its fair share of hardware tonight, so I'll put my support behind a different film, and as it was one of my personal Top 10 Films of 2015, I'd love to see Sicario get a little recognition. My Pick: More often than not, the Sound Editing and Sound Mixing awards go to the same recipient (at least it seems that way). Since I broke ties with that trend with my previous vote, I'll come back to the pack for Best Achievement in Sound Mixing, making my choice here Mad Max: Fury Road. My Pick: I have only seen two of these nominated films so my voting pool is already limited. However, I cannot imagine a world in which Fifty Shades of Gray takes home an Oscar. 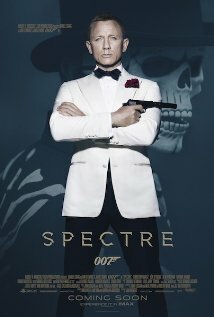 So, my love of Bond films not-withstanding, my vote here goes to Spectre, even though "Writing's on the Wall" was one of the weaker Bond themes in my opinion. 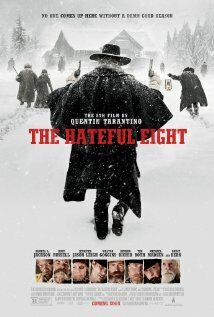 My Pick: Of the four films I have seen in this category, only one score still stands out in my head: Ennio Morricone's wonderful western-themed work for Quentin Tarantino's The Hateful Eight. My Pick: The craziness of the character designs and the sheer number that appear on screen is what sets Mad Max: Fury Road apart in this category. My Pick: From what I've read online and in print, it seems like Carol may be the front runner in this category. 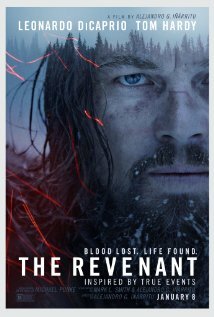 But since I haven't seen it and I'm not attempting to predict winners this year, my vote will go to The Revenant. If this category were for character design, Fury Road's craziness would win hands down. However that film's lack of elaborate costume design (most characters ran around half clothed) causes me to go in another direction. The Revenant's detailed, period-accurate costume design qualifies as the best of the films that I've seen. My Pick: Remember what I was just saying about character design? That's just one of the many things included under the umbrella of Production Design. Because of its insane, post-apocalyptic designs for everything from vehicles, to characters, to the one 'city' depicted, Mad Max: Fury Road is my nominee of choice. 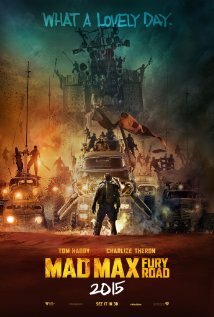 My Pick: I realize that at this point I sound like a broken record, but what director George Miller and his crew were able to achieve with Mad Max: Fury Road really is a sight to be seen. Can you imagine piecing together what boils down to an almost two hour long car chase in a way that is actually coherent? No, neither can I, and that's what makes Fury Road the pick in this category. My Pick: The most beautifully shot film that I saw this year was The Revenant, hands down. From an artistic standpoint it is head and shoulders above the rest. Emmanuel Lubezki is once again my pick in this category (as he has been the last two years when he won for Birdman and Gravity respectively). My Pick: N/A - This is the last category for which I cannot place a vote due to my having not seen any of the nominees. 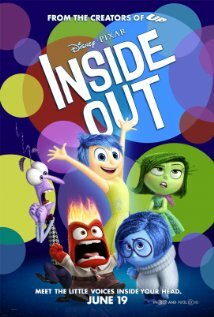 My Pick: I have heard quite a bit of praise for Anomalisa (and would not be terribly surprised if it won), but I have not had the opportunity to see it which leaves my vote in the hands of Inside Out, which more than lived up to Pixar's usual lofty standards. 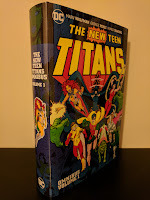 My Pick: I haven't read any of the actual screenplays, and in this case, I haven't read any of the source material either. So based on my opening comments, maybe I shouldn't be making a selection in this category at all. That hasn't caused me to shy away from either writing category in recent years though, so for continuity's sake, I'll make an exception for these two categories based on what I've seen. 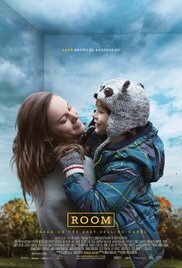 I thoroughly enjoyed The Martian and am a fan of much of Drew Goddard's work, but the range of emotions conveyed by Emma Donoghue's adaptation of Room (her own novel) makes it my choice. My Pick: Again, I've not read the actual screenplays, but I feel like the way in which Spotlight handled and presented its very disturbing, very real subject matter makes it stand out so it gets my vote here. My Pick: As always, this category is filled with amazing pieces of work. 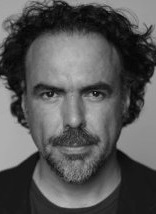 But if you ask me, Alejandro González Iñárritu is once again the king of the Directing hill (he won last year for Birdman). He has a vision and a style all his own, and with The Revenant he continues to prove how widespread his mastery of the craft can be. Just a bit of trivia: if he does win, he'll become the third director to be named Best Director in back to back years, John Ford (1941 - Grapes of Wrath, 1942 - How Green Was My Valley) and Joseph L. Mankiewicz (1950 - A Letter to Three Wives, 1951 - All About Eve) being the other two. That's right, it hasn't happened in sixty five years! My Pick: Up until yesterday morning, I was leaning heavily towards Kate Winslet in this category. Then I saw Alicia Vikander's performance in The Danish Girl. Both women gave excellent performances, but I feel as though Vikander's covered a broader spectrum of emotions and had a greater impact on her film. Side note: I realize that these awards are for individual performances, not a body of work, but Vikander was also excellent in Ex Machina this past year. 2015 was a breakout year for her and as a fan I would love to see her work acknowledged. 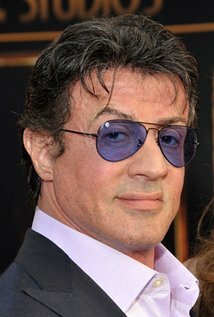 My Pick: The popular pick in this category this year is probably Sylvester Stallone. His return to the character of Rocky Balboa and his mentor-ship of his friend and rival's son, along with his portrayal of Rocky's battle with cancer was excellent. That being said, two other nominees also really stood out to me: Mark Rylance's suspected Soviet spy in Bridge of Spies, and Mark Ruffalo's investigative reporter in Spotlight. Unfortunately, I don't think that Rylance had enough comparative screen time to really have a shot at overtaking the other two. And as much as I personally feel that Ruffalo's turn was worthy of the award, I think the more widespread reach of a film like Creed tips the scales in Stallone's favor. He gets my vote as well. My Pick: Somehow, I've only seen one nominee in this category this year. 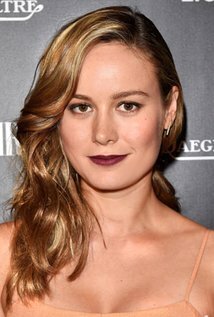 But even with that being the case, after seeing Brie Larson's performance in Room, I'm not sure that I'd vote differently even if I had seen the other four. It was that good. So, realizing that I am not nearly as familiar and informed with this category as I am with the others, I am comfortable casting my vote for Larson. My Pick: I would consider myself a fan of all of this year's nominees in this category, so I'm happy to see them all recognized with nominations. 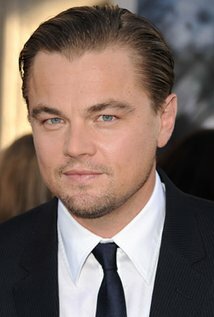 That being said, let me cut to the chase: my vote goes to Leonardo DiCaprio. His frontiersman's betrayal and journey towards revenge is as strong a performance as I've seen in recent years and is even more impressive when one considers the lack of dialogue he has to help convey his emotions throughout the film. This is DiCaprio's fifth Oscar nomination in an acting category, and fourth for a leading role. As I mentioned earlier, these nominations are meant to be for a specific performance, but I doubt it highly if DiCaprio doesn't get a little extra support due to his stellar career thus far. My Pick: This year I managed to see six of the eight nominees for Best Picture, and in my mind, it really comes down to two: The Revenant and Spotlight. 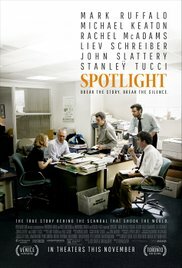 I feel like if you asked me five years from now, which film from 2015 stuck with me the most, I would probably say Spotlight. It took a very uncomfortable subject and used a brilliant angle (that of the team of investigative reporters) in presenting a wonderfully impactful film. On the other hand, similarly to last year's Best Picture recipient Birdman, the overall artistry of The Revenant really sets it apart and tends to be what this category rewards more often than not. So by the slimmest of margins, I'll give the nod to The Revenant. There you have it: my 'ballot' for tonight's 88th Academy Awards. Thanks for taking the time to check out my thoughts on this year's nominees. I'll be curious to see how my line of thinking matches up with what actually happens later tonight. Which nominees do you think will win? Are they the same as those you think should win or that you want to win? Feel free to chime in, discussion is always encouraged here!